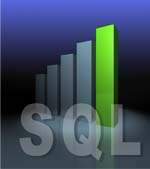 As users and data processing activities increase over time, SQL Server is the right tool for managing the heavier load. A robust database engine designed specifically for n-tier enterprise applications, it provides your organization with the ability to stay ahead of the competition, providing exceptional data reliability and scalability. We can upgrade your existing Access databases to take advantage of the increased capabilities offered by its more powerful cousin. If you're starting from scratch and anticipate rapid growth, SQL Server has the horsepower to manage it and the flexibility to adapt to the ever-changing requirements of your organizational data.